It’s the happiest time of year! Decorating your homes for Christmas should always be about bringing joy to you and your family. To kick-off the holiday season, we’ve brought you two easy DIYs to decorate your home using the Lone Star Living holiday flowers. All these holiday looks can be accomplished in a matter of minutes. So, grab the kiddies, turn on the holiday music and let’s get ready to decorate! To begin, wash your mason jars inside and out. Make sure to pat them completely dry. Paint your jars with the colors of your choice. Then, grab your glue guns and get creative! We decided to decorate our jars with Santa’s famous belt buckle, Rudolph the Red Nose Reindeer and Frosty the Snowman. 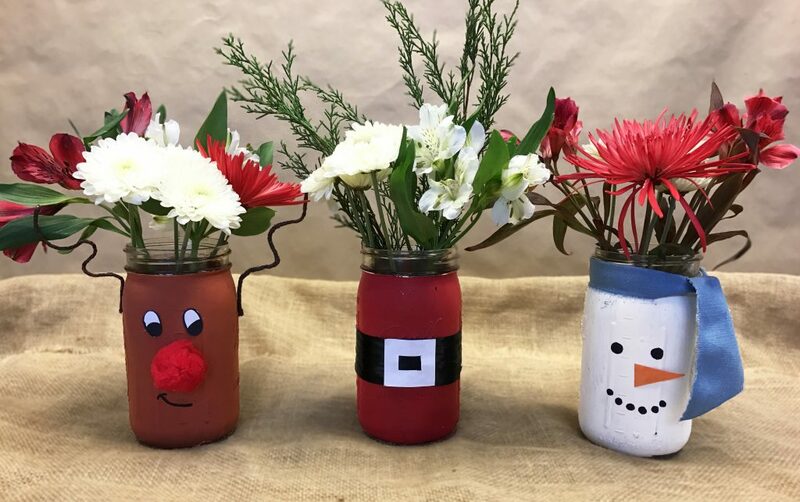 Once you have decorated your mason jars, set them aside and let them rest until completely dry. Grab your Lone Star Living holiday flowers and begin to arrange them inside the jar. Easy and so very cute! 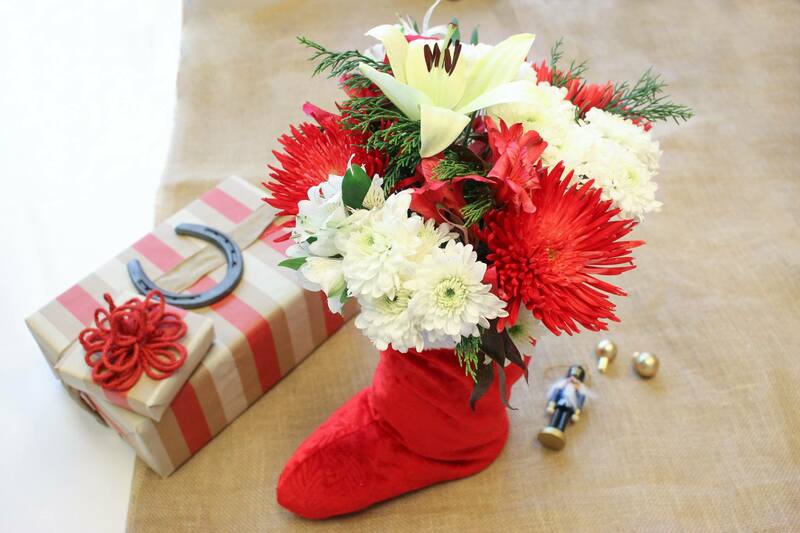 Grab your Lone Star Living holiday flowers and begin to prep them for your vase. Make sure to cut off any extra foliage the bouquet may have. Then, grab your vase and insert it inside your stocking, adjusting until it fits tightly. 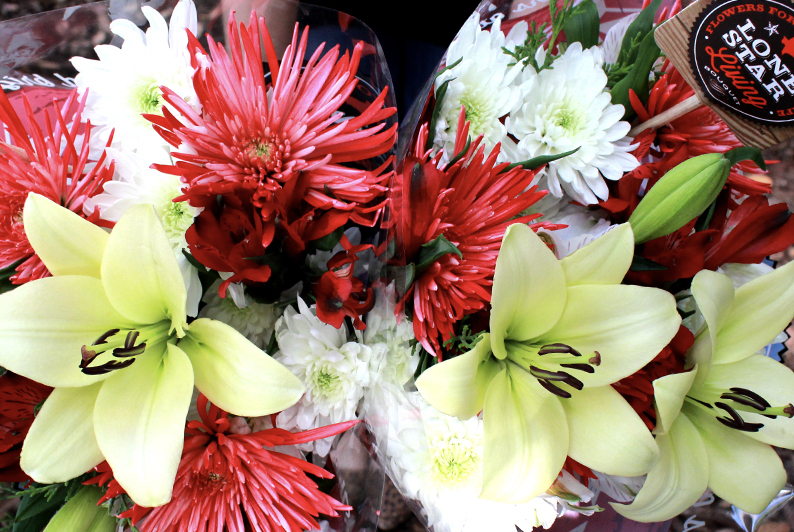 Mix the flower food with water and arrange your Lone Star Living holiday flowers inside the vase. Impress your guests with a beautiful and amazing holiday decoration or gift!